All I did was melt a 85% dark chocolate in the microwave. Lined the cupcake baking dish with cupcake liners. 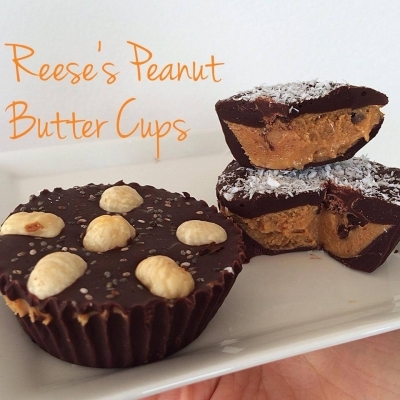 Pour some melted chocolate on the bottom and right away put peanut butter on top. Pour the rest of the chocolate on top, add pretty toppings and freeze for 40-50 min. Done!